The book contains over 50 original pencil drawings. Lined journaling pages where you can write down your own creative thoughts. The book measures 14,8x21cm (5.7"x8.3" inches). Gloss finish hardcover with high quality section sewn binding. 76 pages, printed on 90g (24lbs) cream coloured paper. Illustrating this book has been quite a journey. 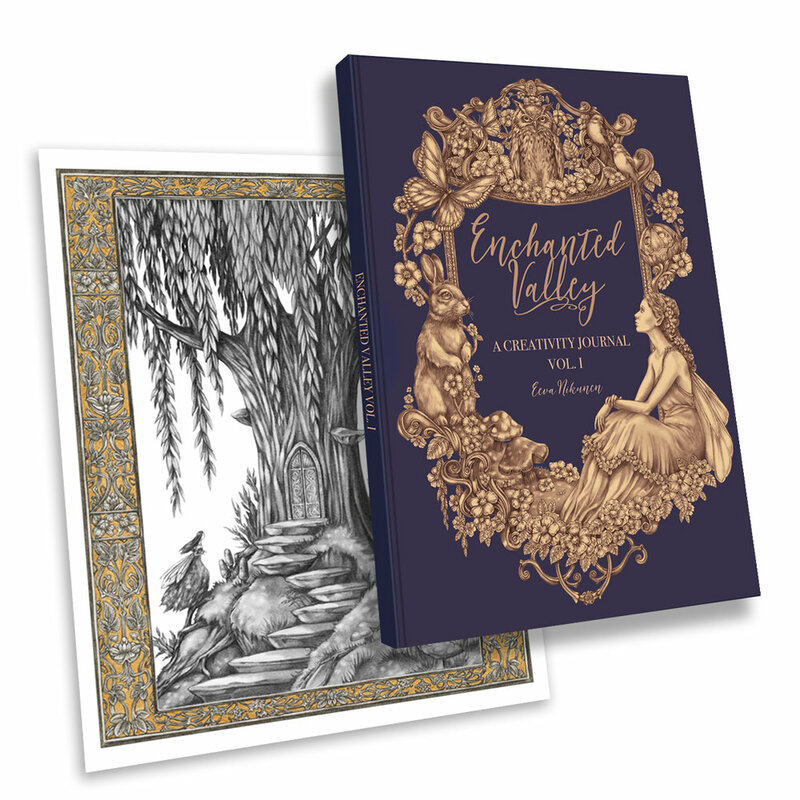 I ended up drawing almost a hundred graphite drawings for the book, and about fifty of them will end up on the pages of Enchanted Valley Volume I. I also worked really hard to create the perfect cover and layout for the book. I have a background in graphic design, and this was my chance to put that design experience to use. I wanted the book to have a historical feel to it. 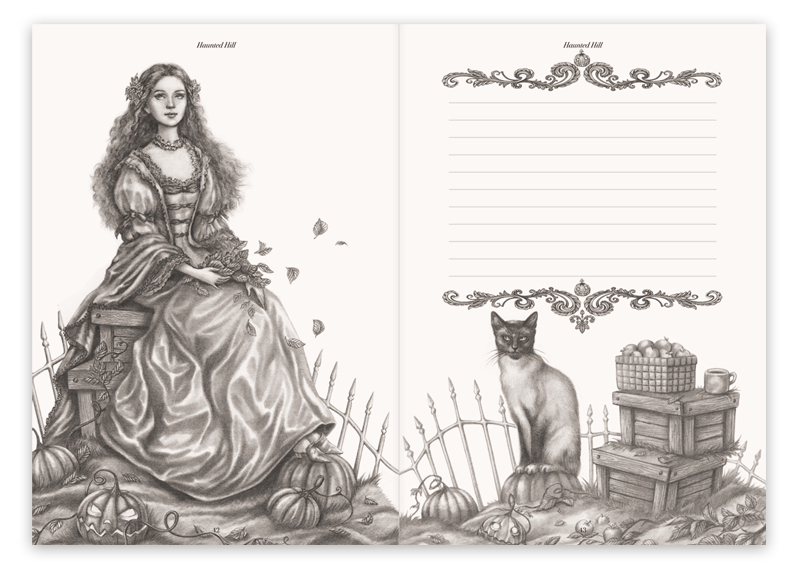 I took a lot of inspiration from books from the Victorian era. Enchanted Valley Will Be Available For Pre-order On April 20th! Two versions of the book will be available exclusively to people who preorder. This pre-order exclusive includes a signed copy of the book and also a set of stickers and a 10% discount of the book. This offer is available only through April 20th to May 10th. The book will ship in mid May 2018. This limited edition book is like the standard edition, but every book is hand signed and numbered. The limited edition book also includes a 20x25cm (8"x10" inch) hand embellished print and the set of pre-order exclusive stickers. Only 25 copies are available of the limited edition book. The book will ship in mid May 2018. Thank you for reading! 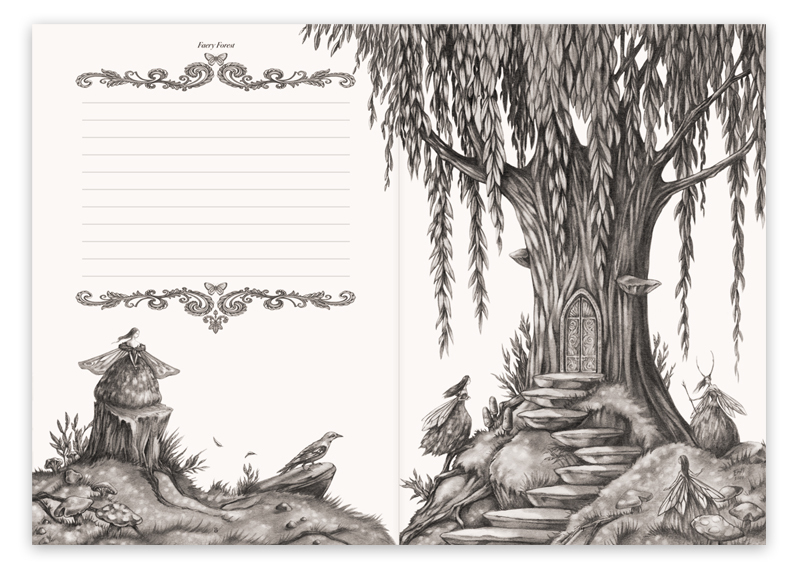 The 'Enchanted Valley' Creativity Journal will be available in my shop on April 20th.